Here in San Antonio we overdo it — we have FIVE days of walking, plus an official county recognition of the importance of walking. Join us! 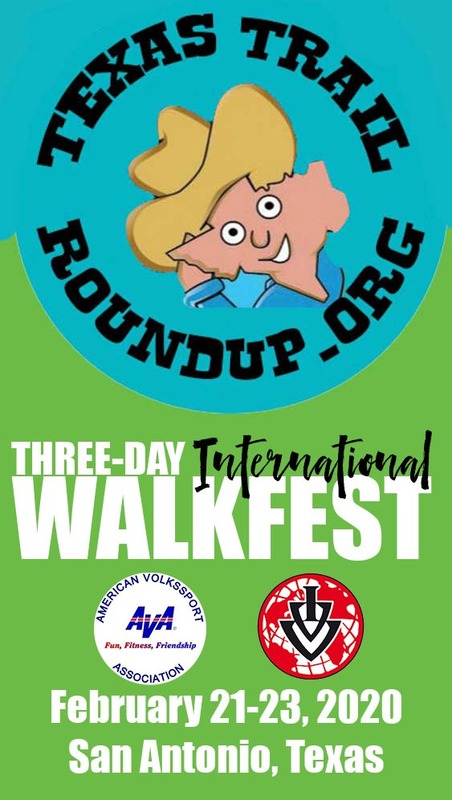 Saturday, May 6 – The Lone Star Walkers will host a World Walk Day event that starts at the Holiday Inn Downtown (Market Square) 318 W. Cesar Chavez, San Antonio, TX 78204. You will follow routes through the heart of San Antonio and the Main Plaza, along the famous River Walk, and a city park. You can enjoy the many shops and restaurants as you wander through the El Mercado and along city streets. Meet in the hotel’s front portico. Start from 8:00am to 11:00am. Finish by 2:00pm. Sunday, May 7 – Meet 8:00am at the Drury Inn and Suites, 15806 I-10W, San Antonio, TX 78249 (the SW corner of I-10 and Loop 1604) for a group walk of one of the Leon Creek Year-round events. One goes North and the other goes South. Monday, May 8 – Salado Creek – The walk box is normally at a different location but for this walk only we will carry the box to the start of the walk, which is at the Salado Creek Greenway trail head in Lady Bird Johnson Park, 10700 Nacogdoches Rd, San Antonio, TX 78217. There are two possible routes: one passing through Los Patios and Tobin Park and the other goes to McAllister Park and back. 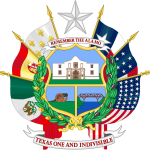 Tuesday, May 9 – No walk today but there will be a proclamation for World Walk Day read at Bexar County Commissioners Court in the Old Courthouse, 105 Dolorosa St. at 10 a.m. Wear your AVA and club gear, as photos will be taken! This has been moved forward a week, and is now scheduled for May 16, same time and place! Wednesday, May 10 – Join the group for the Broadway Neighborhood walk. The walk is two 5km loops, one in the lovely residential area in Alamo Heights and the Cathedral Meditation Park at the Episcopal Diocese of West Texas, Bishop Jones Center. The second 5km loop includes the University of Incarnate Word Campus. Meet at Broadway Daily Bread, 5001 Broadway, Alamo Heights, TX 78209. Thursday, May 11 – We’ll be walking at Southside Lions Park. This year-round event normally used the new online start box but for this walk only we’ll be able to sign you up on site, Pavilion 2 in the park. 4000 Pecan Dr. San Antonio, TX 78210.